Greetings! It's been about four weeks since I posted my summer fun list update #1. Today I'm checking in on my progress and sharing my second update of the season. 1. Visit farmers' markets, local parks, or beaches: Making great progress! Since June 21, I've made seven visits to farmers' markets, and spent time at the local parks or beaches almost every day. This summer is still going strong with warm, humid weather, and occasional heavy downpours. When I'm outdoor, I stay in the shade as much as possible and drink a lot of water. 2. Attend summer festivals: Good progress. I've attended five summer festivals in eight weeks. There were two other festivals that I noted the dates in my calendar but ended up not going as they were outdoors on very humid days. The show performers are so diverse and fantastic. For example, in July, the Barbados on the Water Festival and the Brave Festival presented amazing musicians and singers. Last night I was at the Small World Music Festival and saw a band named Kalàscima from Salento, Southern Italy playing various instruments and engaging the audience during their show. I'm happy to be in town to experience the festivals. 3. Go to outdoor concerts: Making great progress! In addition to the summer festivals, I attended eight outdoor music performances by Mike Branton, Amanda Rheaum, Elan Trotman, Jordan John, Sol de Cuba, Amai Kuda & Y Josephine, Rufus John, and Ryan McNally. Every performance was unique and showed how much talent is out there. Listening to live music in a summer outdoor setting is simply wonderful! 4. Watch new-to-me movies: Good progress. So far I watched five movies I Feel Pretty, Beirut, Overboard, Life of the Party, and Avengers: Infinity War. I'm not picky about the movies at the moment as I only watch a movie once a week with my neighbours. We enjoy popcorn and chat before and after the movie so it's a social and entertainment combo activity. 5. View art exhibitions: Making great progress! This summer I viewed numerous indoor and outdoor art exhibitions like the art on King Street. The most recent exhibition titled Alternate Perspectives is at a gallery that I haven't been to before. It's always a pleasure for me to discover new art galleries and get to view new art work. 6. Enjoy BBQ gatherings with my extended family: Good progress. We enjoyed one family BBQ gathering in June, and one in mid-August. There were birthday cakes at both gatherings. Note that the candles are just representatives now, not the real age, or we may have to have a fire extinguisher ready, LOL. 7. Meet up with friends in Quebec City in July: Completed! We had a wonderful time in Quebec City. I wrote a post about the trip and included some photos here. 8. Celebrate my cousin's wedding in Paris, France in August: Getting close! I started going through my travel checklist and did a quick packing for my trip. The weather forecast in Paris looks good. I hope to get a photo of the Eiffel Tower with some blue skies this time. It's been an excellent summer so far. I look forward to going to Paris later this week. I'll post on my blog again when I return home in early September. How are things going with you? What good things happened? I'd love to hear your comments. Meet my friends to go to a farmers' market. Nap one afternoon when I feel like it. Open and re-read a comic book we have at home. Pick up a gift for my cousin's wedding. Quick packing for my upcoming trip. Ride the ferry to Centre Island on a weekday when there is no crowd. Share unhurried coffee chat time with my husband. Take photos of what makes me feel happy. Undertake to plan another discovery walk. The previous one was fun. View wildlife and sailboats by the harbour. Write a happy birthday card to a relative. Yoga practice every other day. That's it from me. I hope you're making happiness happen for yourself each day. 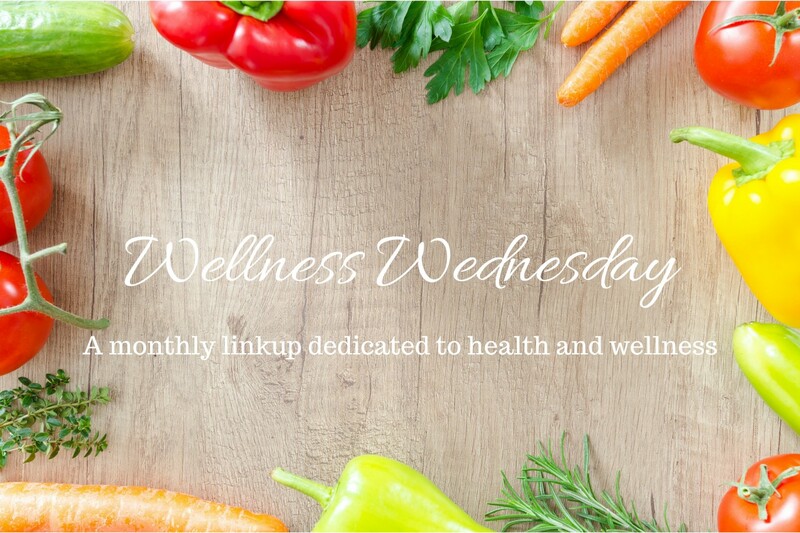 Welcome to our 8th Wellness Wednesday link up in 2018! Today I'm providing updates on my July wellness goals, setting goals for August, and linking up with a group of terrific bloggers who are also on the wellness adventure. Meditate 15 minutes daily: I continued to meet this goal in July. I feel that it's time well-spent as part of my self-care routine. Exercise one hour daily: I got all my exercises in, both at home and in Quebec City, in July. The hotel that we stayed at in Quebec City had a gym with a nice view of the city and the surrounding mountain range. We had a heat wave that week so even with air-conditioning, the cold face towels provided in the gym were well-received. Smile or laugh daily: I had an excellent July as written here and many reasons to smile or laugh daily. We spent the first week of July with friends in beautiful Quebec City. Upon returning home, this summer continues to be great with mostly sunny days, lush green trees, bright flowers, fresh produce at the farmers' markets, live music, outdoor art exhibits, etc. I'm loving it! Take online French and Spanish lessons daily, fifteen minutes for each: I've been taking my language lessons throughout the month of July, and got to practice conversational French in Quebec. I'm setting just three wellness goals for August since I'll be away traveling in France in the last third of August. This means I'll need to modify my exercises as I won't have access to a gym. I'll bring a resistance band, my running shoes, and use my body weight to keep my fitness routine going. I plan to continue my language lessons with Duolingo but I expect a temporary break whenever I don't have Internet access. I'll get to practice conversational French in France so this will be a great substitute. Last but not least, the optional Wellness prompt for this month is Healthy cooking tips. I look forward to reading all the healthy cooking tips that readers or other bloggers want to share. My practice of healthy cooking includes olive oil, lean meat, and fresh or frozen vegetables. We often steam, stir fry, bake, broil, or grill, and use non-stick cookware which requires less oil. We use herbs and spices to enhance the flavours. We rarely use butter and salt in our cooking. Your turn...How are you doing with your wellness goals? Do you find it easier to keep your wellness goals in the summer? What's your favourite healthy cooking tip? I'd love to hear your comments. Greetings! On my blog, I created a page titled Countries Visited to keep track of the countries I have visited by continent, not counting airport stopovers. At time of this post, I've been to fifty countries, including twenty nine (29) in Europe, nine (9) in Asia, eleven (11) in the Americas, and one (1) in Africa. It takes a bit of time to write up my travel stories and I know not everyone has a keen interest in travel like I do. So in this post, I randomly picked a sample of five ancient wonders and three natural wonders that I've visited outside of Canada and shared my photos below. The Great Pyramid and Great Sphinx in Giza, Egypt - Constructed around 2580-2560 BC, the Great Pyramid of Giza is the oldest of the Seven Wonders of the Ancient World, and the only one to remain largely intact. 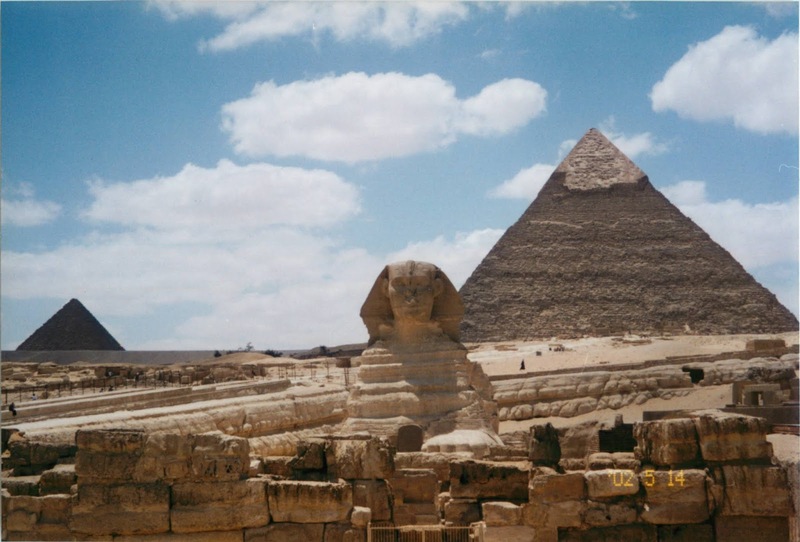 To see the Sphinx and the Great Pyramid in person was a surreal experience for me. The Acropolis in Athens, Greece - To visit the Parthenon and temples on top of the Acropolis during the day, and to see how they're lit up at night from our hotel rooftop patio was unforgettable. I wrote a post about my stay in Athens here. 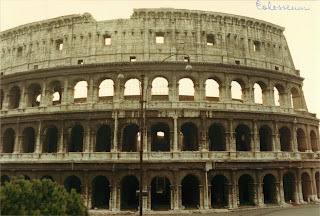 The Colosseum in Rome, Italy - It was awesome to see the huge amphitheatre in the centre of Rome. 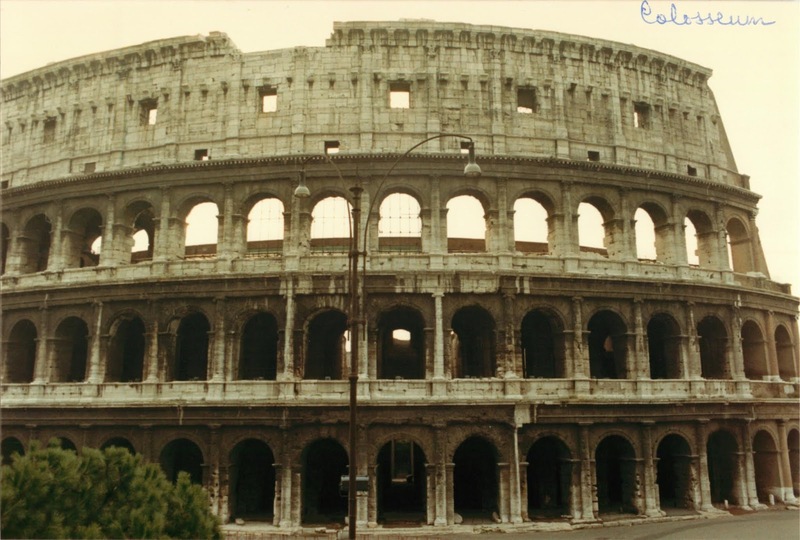 When I walked inside the Colosseum, I imagined the more than 50,000 Roman spectators who were there. That was one of many special moments of my stay in Italy. 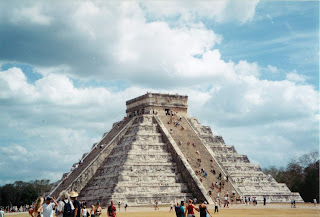 Chichen Itza in Yucatan, Mexico - There are a lot more to see and explore at Chichen Itza than the El Castillo or Temple of Kukulcan in my photo below. 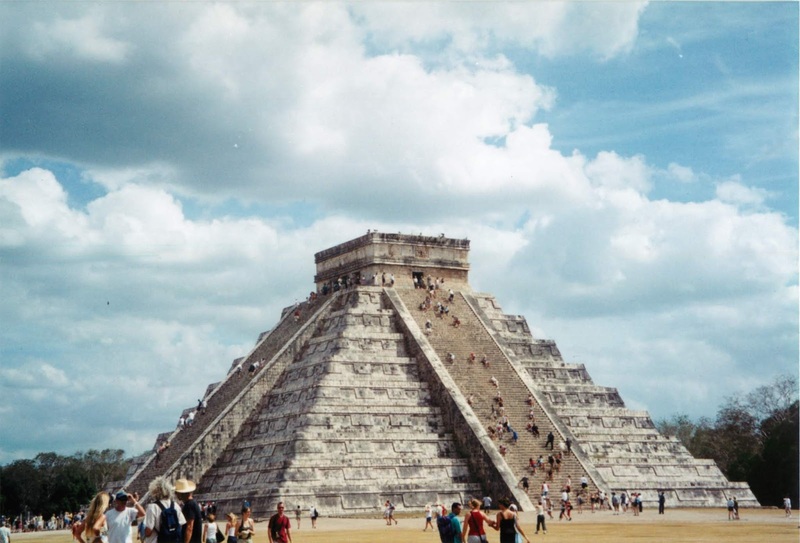 Fascinating traces of the Mayan civilization left me yearn for more learning about the culture. Machu Picchu in Peru - The first sight of Machu Picchu took my breath away. Lots of climbing up and down the mountainside stone steps to admire this magical ancient wonder. I wrote a post about my visit to Machu Picchu here. 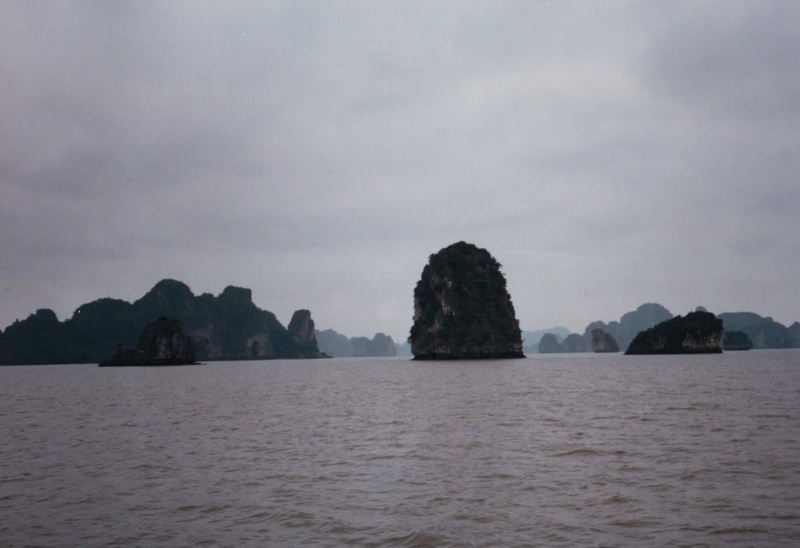 Ha Long Bay in Vietnam - I remember sitting on a junk boat and enjoying the view of the thousands limestone islands named for their shapes. Then entering small coves and caves while thinking of the legends of the Descending Dragon (Ha Long means Descending Dragon). Iguazu Falls in Argentina - The power of the water, the sights, the thundering sounds, the red earth, and raw nature of Iguazu Falls knocked my socks off. There are trails and lookout points to see the falls up close. I wrote a post about my visit to Iguazu Falls here. Moon Valley and the Atacama Desert in Chile - The driest desert on earth, the moonscape, the salt flats, Licancabur volcano, the starry nights, and the adobe town San Pedro confirmed that I made the right decision to come. You might like to read my post about San Pedro de Atacama and Moon Valley here. There are many more places that I could add except I would risk tuning you out. The above photos remind me of the amazing sights I've seen, the countries I've visited, and the wonderful friendships I've made at each location. Later this month, I'll be going to Paris, France to visit family and attend my cousin's wedding. France is my second home because of the close family connections. Every time I go to Paris, I add a side trip to explore another town or city outside of Paris. I think I might have visited more places in France than in Canada. After I return from France, I've been thinking about visiting a new-to-me country in Africa before the end of this year. Even though I'd love to revisit the fifty countries that I've been to, there are still many more I'd like to explore. So my general goal is to visit as many countries as possible. How about you? What country did you last visit? Where is your next travel destination? I'd love to hear your comments. Greetings! July started with our national holiday and celebration of Canada's 151st birthday on July 1. I continued the fun-filled month with a family vacation and meeting with our friends in Quebec City. We had a terrific time and hot summer weather, a record-breaking heat wave, the entire week. Upon returning home, I enjoyed a socially active month, at an easy going pace, and with plenty of time spent outdoors. FITNESS - I give myself a pat on the back for completing all my planned fitness activities in July. I did a combo of different activities every day to keep it fresh for me such as walking, meditation, workouts in the gym with weights, yoga, running 5K, and gentle stretches. The hotel where we stayed in Quebec City has a gym with views of the city and the surrounding mountain range. They also offer cold face towels and cold spring water which were well received during the heat wave. Quebec City is hilly so that added a new, short-term challenge that I enjoyed as well. The vibrant colours in the summer from clear blue skies, to green trees, and flowers everywhere, make it easy to be active and outdoorsy. ARTS - It's summer time where I live so the local parks, gardens, and the lake are lovely and lively natural art scenes. I enjoyed sitting in the shade and watching nature. For example, I watched two butterflies and several bees going from flower to flower at a park while listening to the sound of water from a nearby fountain, and feeling the light summer breeze on a sunny day. SOCIAL - Sharing meals was a theme in July for me. We ate out with friends in Quebec City. I had a lunch date with one of my friends at a new-to-me sushi restaurant in Toronto. Blogging-wise, I wrote seven posts on my blog in July and replied to all comments. I also enjoyed reading several other blogs and shared my comments. TRAVEL- I had a terrific time in Quebec City and wrote about my trip here. I already booked my trip to Paris, France in August. Since I've been to Paris before, I'm thinking to add a side trip from Paris to somewhere that is new to me. A new adventure awaits! Overall, July was an excellent month for me. I look forward to enjoying the rest of the summer, making more progress to my summer fun list and savouring my time in France in August. How was July for you? What good things happened? I'd love to hear your comments.